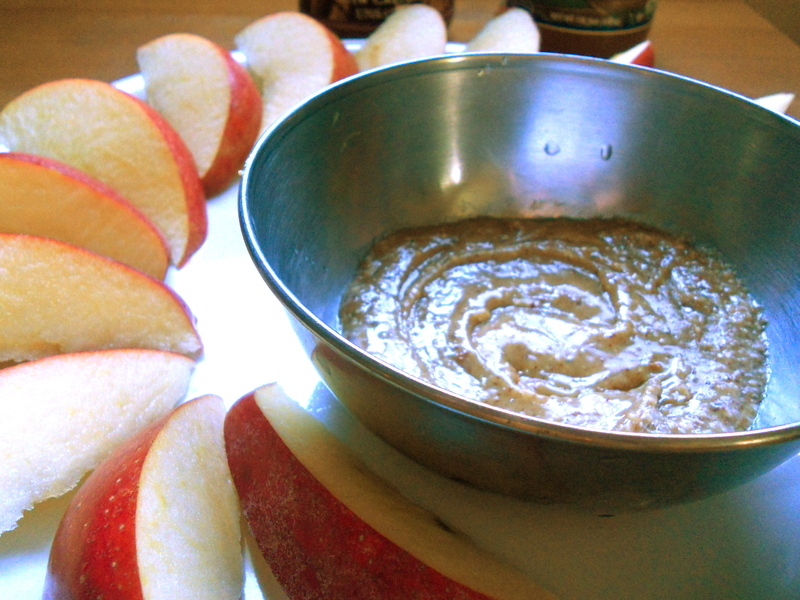 Cut up apples into slices to dip into caramel. To make caramel simply mix the almond butter and brown rice syrup. If you want the consistency to be stickier and more caramel like then add more brown rice syrup. You can also use this caramel to make vegan candies and it is delicious!!! Thank you for sharing this simple dip! No problem… make sure to use raw almond butter, because roasted just doesn’t taste as much like caramel. Thanks so much for the feedback too!